Jeremy McNichols has been considered as an all-purpose talent when it comes to the game of football. The star has great vision and fastness whenever he is in the field of play. Playing as a running back, Jeremy has great pass catching abilities as well as lateral agility and acceleration. He is currently playing for the San Francisco 49ers of the National Football League. Learn more about his bio, career, family and other facts below. He is a professional American football running back. Jeremy McNichols is currently associated with the San Francisco 49ers of the National Football League. He signed up with the 49ers practice squad in September 2017 and was promoted to the active roster in November 2017. Jeremy was drafted by the Tampa Bay Buccaneers during the NFL draft of 2017 draft. He was the 162nd overall selection and the 17th running back to be selected in the draft. He completed his collegiate football career with the Boise State Broncos football team. Jeremy Theron McNichols was born in Long Beach, California on December 26, 1995, to African-American parents Anthony McNichols and his wife Demetra McNichols. He grew up in Lakewood, California where he attended Lakewood High School. After his junior year, Jeremy transferred to Santa Margarita Catholic High School where he completed his senior year. As a teenager, he played football with Snoop Dogg’s youth football team in Long Beach, California. He played both as a wide receiver and running back for the team. During his high school football career, Jeremy recorded 10 touchdowns, 72 receptions for 934 receiving yards as well as nine rushing touchdowns for 877 rushing yards. At the completion of his high school career, McNichols enrolled at the University of Utah where he continued his college football career. However, he left Utah and transferred to Boise State University to continue his career. As a freshman, Jeremy McNichols played nine games for the Broncos in the 2014 season. He hauled a total of 15 receptions for 155 receiving yards, rushed 17 carries with 160 rushing yards, and a touchdown. The following season, he was named to the All-Mountain West Second-Team while scoring 26 touchdowns, 240 carries in 1,337 rushing yards. In his senior year, Jeremy notched 51 receptions for 460 receiving yards and six touchdowns. Following an impressive college career, Jeremy announced he would be joining the 2017 NFL draft. During the NFL draft of 2017, Jeremy McNichols was selected by the Tampa Bay Buccaneers in the fifth round of the draft. He was the 162nd player and the 17th running back to be drafted that year. Joining the Buccaneers, McNichols had a rough rookie season following his inability to read defenses correctly. He was dropped by the Buccaneers on 2nd September 2017. However, Jeremy signed up with the San Francisco 49ers practice squad on the 4th of September 2017 and after he recorded an improvement in his skills, he was upgraded to the active roster in November 2017. He made two appearances for the 49ers, recording one special team tackle during the 2017 season. He is currently competing for the third running back position for the 49ers against Kyle Shanahan and Joe Williams. Hopefully, the amazing running back will get more playing time in the 2018 season. 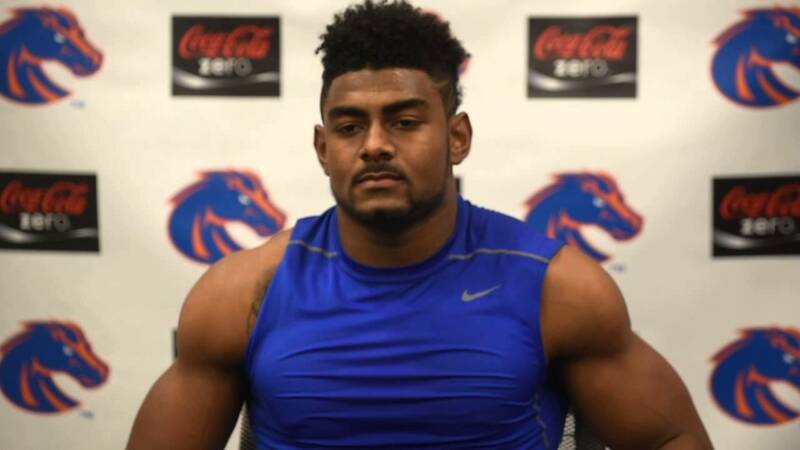 Jeremy McNichols came from an Afro-American background; his parents are Anthony and Demetra McNichols. Apparently, Jeremy is a very private person and has not shared much information about his family life and childhood experiences. Since he has not made such information available, it will be hard to say much about his family. Also, it is difficult to say if he is the only child of his parents or if he has other siblings. Jeremy McNichols is a dynamic player and has the ability to shift rush tracks without tapping brakes; all thanks to his wonderful body measurements. He is not so tall, but having a height of 5 feet 7 inches. Jeremy still performs wonderfully well while in the field of play. He is a one-speed runner without the big burst to vanish through the line of scrimmage. Playing the running back position, Jeremy has a body weight of 96 kg. In addition, he has a hand size of 10 inches and an arm-length of 31.5 inches.